Clusters of yellowish-green autumn flowers and small, lustrous, three to five-lobed, grey-green leaves with bold yellow margins. This versatile, variegated, evergreen climber is ideal as a houseplant or for covering a low wall. For use outdoors chose a sunny site sheltered from cold, drying winds with fertile, moist, well-drained, preferably alkaline soil. Hello, This is a self-clinging ivy, so it does not need trellis to clamber up. 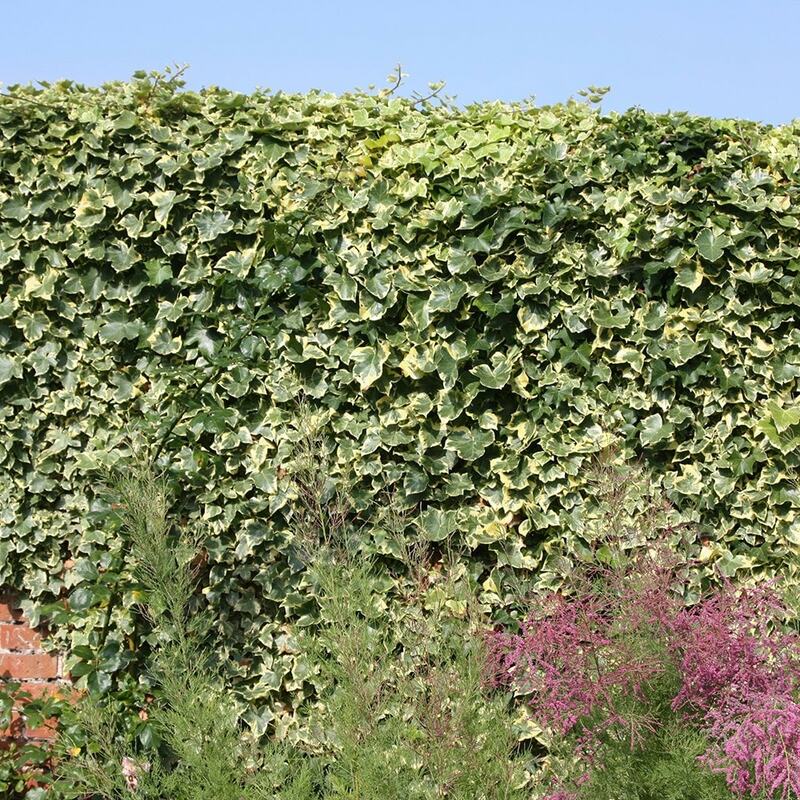 As for the damage, this is always in dispute as some people feel that an ivy will actually help protect a wall, while others feel that it can damage them. My feeling is they will do no harm, provided your mortar is sound.